Come on a botanical safari with The Planthunter and meet twenty-four of the most interesting and passionate people living and working with plants in Australia, New Zealand and the United States of America. Your guide is intrepid hunter of stories, plants and ideas, Georgina Reid. 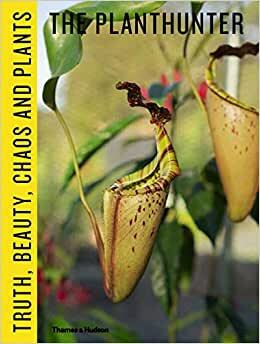 Join her and photographer Daniel Shipp as they explore and document the exceptional and ordinary ways people around the world find truth, beauty, purpose and connection through the act of gardening. From street gardens in LA to grand country estates in Auckland; tiny rental gardens in Sydney to plant packed suburban Brisbane backyards, The Planthunter is a journey underpinned by curiosity and care. The book takes readers into the garden - a place of respite, shelter and connection - and shows that the benefits of connecting with nature through gardening are not restricted by space or experience. They’re found in the simple acts of hands touching earth, seeds being planted and flowers being picked. Gardening is for everyone. The Planthunter is an exciting, seductive and refreshing call to arms. 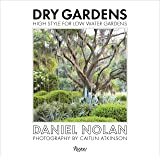 It’s a new generation of gardening book for a new generation of gardener; encouraging readers to fall in love with the natural world through falling in love with plants. It’s for the plant curious, the plant killer, the plant lover, and everyone in between. Georgina Reid is a writer, landscape designer and gardener. She is the founder and editor of The Planthunter. Daniel Shipp is an award-winning Sydney-based photographer and a contributor to The Planthunter. With a thirst for light and form, he crafts images into emotive narratives, telling stories about the worlds within this world.